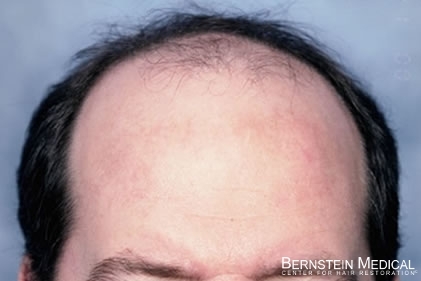 Bernstein Medical - Center for Hair Restoration Patient IHR is a Norwood Class 5, with dark brown, wavy, medium fine hair and a donor density of 2.0. 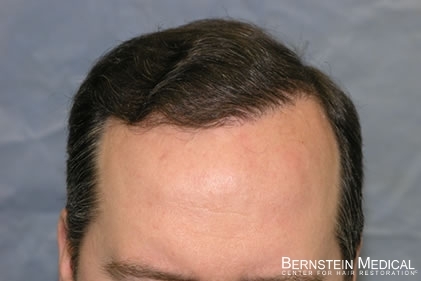 Because of the patient’s tight scalp, the hair restoration was performed over three sessions. 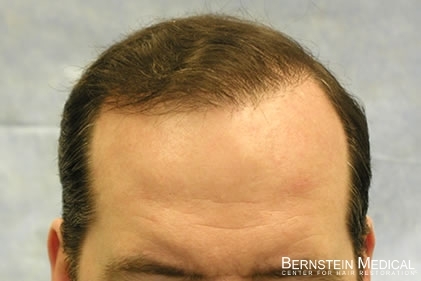 Results after three follicular unit hair transplant sessions totaling 4,366 grafts. 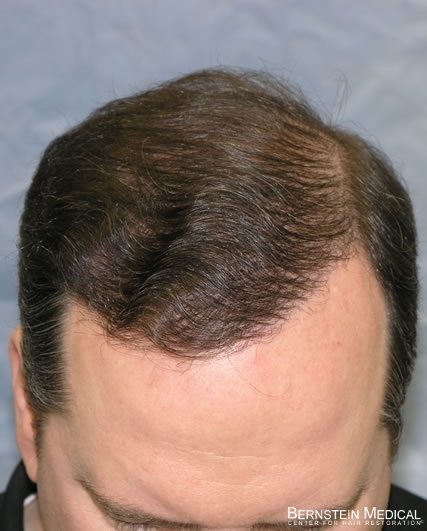 Hairline position and evolution of restoration close-up. 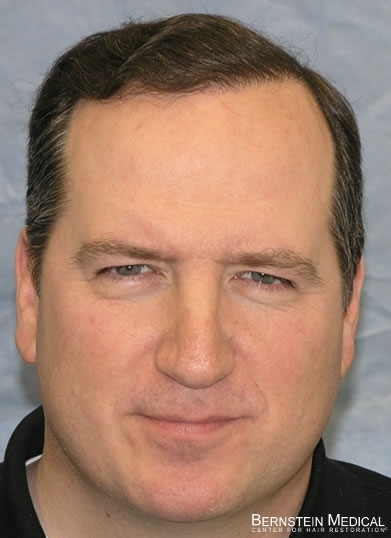 Appearance of patient after second and third sessions. 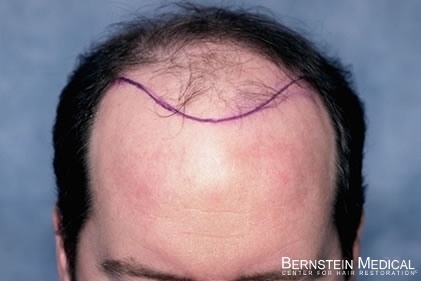 Three sessions were needed because the patient’s tight scalp limited the amount of donor hair that could be removed at one time. 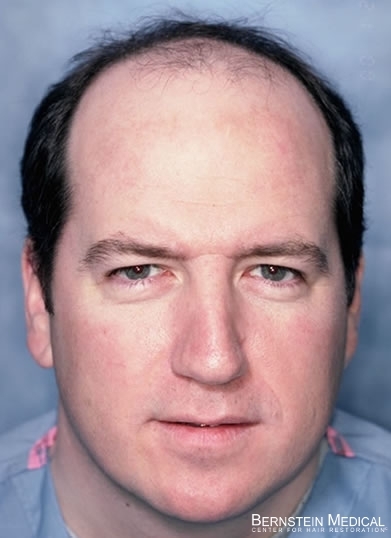 FUE will can be useful if additional sessions are desired. 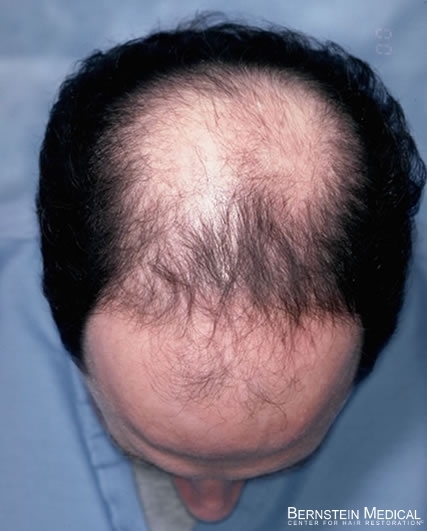 Top view of patient after three sessions. 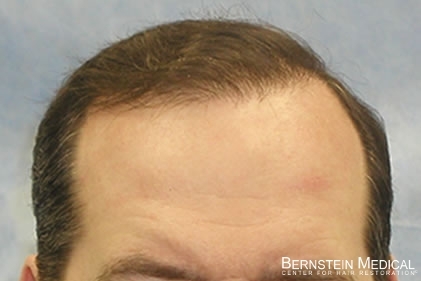 For more information or to schedule a hair loss consultation, visit Bernstein Medical online.